Because of larger quantities of people moving to bigger metropolitans each year, the cost of living has only gone up higher in recent years. That is doubly true for the bigger cities in US like New York, Boston, Miami, Philadelphia, San Francisco, Honolulu and Los Angeles. 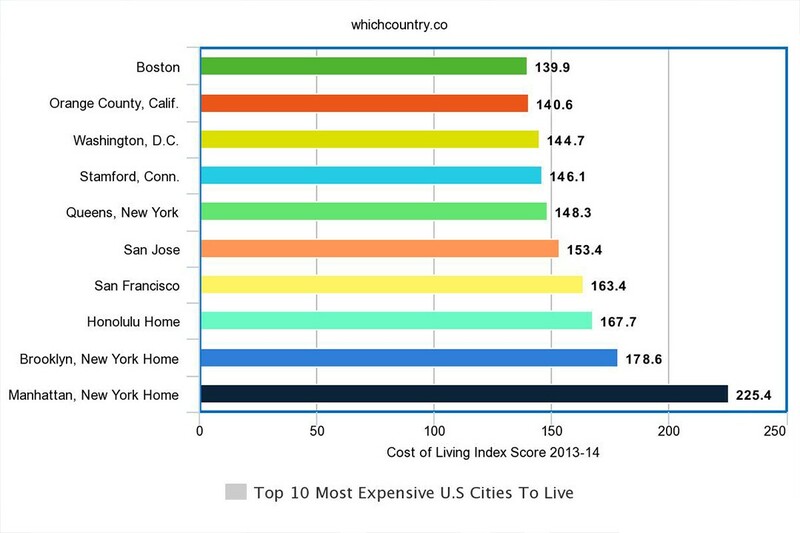 These cities have some of the highest costs of living when compared with the rest of the world. 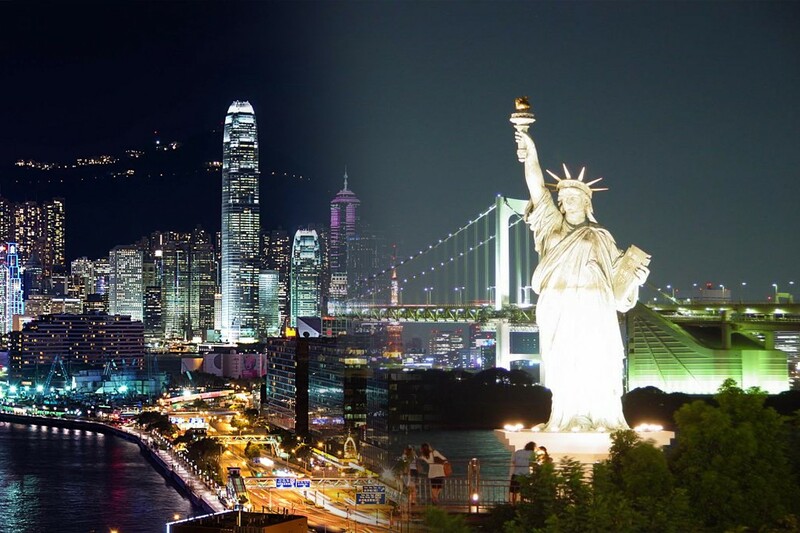 Only city states with strong financial sectors like Macao, Hong Kong and Singapore are more expensive than some of the cities in United States. Even though these cities have higher living costs, the promise of making it big and the limelight is often enough to attract people to these places. Even though most are left disappointed, these cities then become a part of their lives and they end up spending their whole lives trying to survive in these cutthroat places. When we are discussing the living expenses to conclude the Top Ten Most Expensive Cities In United States,the city stands out at the top is Manhattan,in which individuals are paying more than the twice of national average of United States. In the mid of recession time, the New Yorker’s have cut back on the everything even from the dining to the luxury shopping. 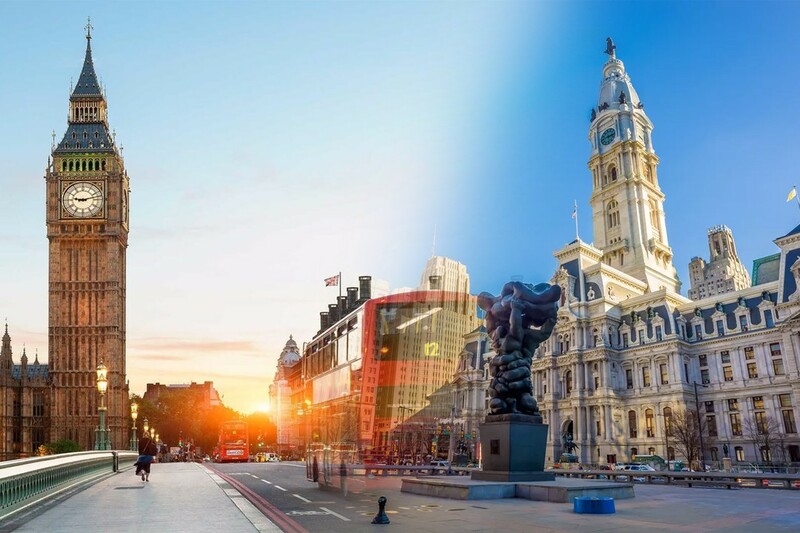 Although United States of America has a good economy and number of facilities for its cities, but there are some cities in United States which are considered the most expensive and some are considered affordable. There are number of factors which are essential to keep in mind while distinguishing between the cheapest and expensive cities but the major factor is the real quality of lifestyle that is making a city best for rich, poor or middle class person.moreover our survey has noticed most of expensive cities are located in countries with best quality of life. What is Life style and how it makes a place expensive or cheapest? Basically the Lifestyle is a typical way on which people survive. It also elaborates the groups and cultural traditions of the people. Lifestyle is the major factor making a city expensive or cheapest. In the cheap cities or countries people has the lowest life styles while on the other hand, the expensive cities has a highest quality of life style. The rural areas have diverse lifestyles as compared to the urban areas of the world. The location has much importance while analyzing the quality of life. Moreover the facilities of cities or countries are also more important while making a comparison between a cheap and an expensive place to live in the world. Furthermore the education level, health sector and the technology sector are also more important factors. In a recent research made by an organization that is performing services for the community & economic research has calculated the prices of different purchased commodities within the three hundred and seven urban locations just to determine the cost of professional standards and living styles of different places. The results in its fifth report have crunched more than 50 thousand prices including all the commodities from grocery items to the transportation of the housing. While preparing this report, the national average on the index is assumed 100. thus Following is a list of top ten most expensive cities in United States of America. Following are the most expensive cities in the United States of America. This ranking is given according to the facts and figures of 2016. The average household income in Miami is around $49,000 which is well above the national average. The city has a vibrant ship port scene and also has a slew of wealthy foreigners that has increased the cost of living. Pittsburgh is the most expensive city in the state and despite being the second biggest city it leaves Philadelphia in the wake when it comes to expensive things. The living expenses are rather high and utility expenses far exceed the national average. According to a recent survey, living in Seattle costs 24% more than the average city in the United States. That may be because of the really high real estate prices that have broken many previous records over the last few years. Even though the home and apartment prices in the city are not that high, the cost of living is because of the several government agencies and other government sector jobs in the city. 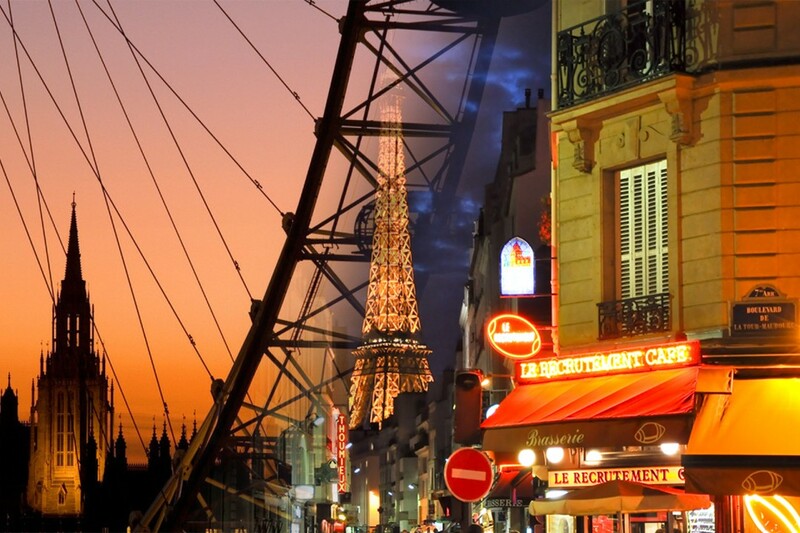 The tourism sector of the city is also responsible for the bump in average living prices. Boston Massachusetts as a city enjoys a strong economy because of its higher education and tech savvy scene. However, that also means that basic goods in the city cost 20% more than national average while healthcare is also very expensive because some of the best hospitals in the country are located in Boston. 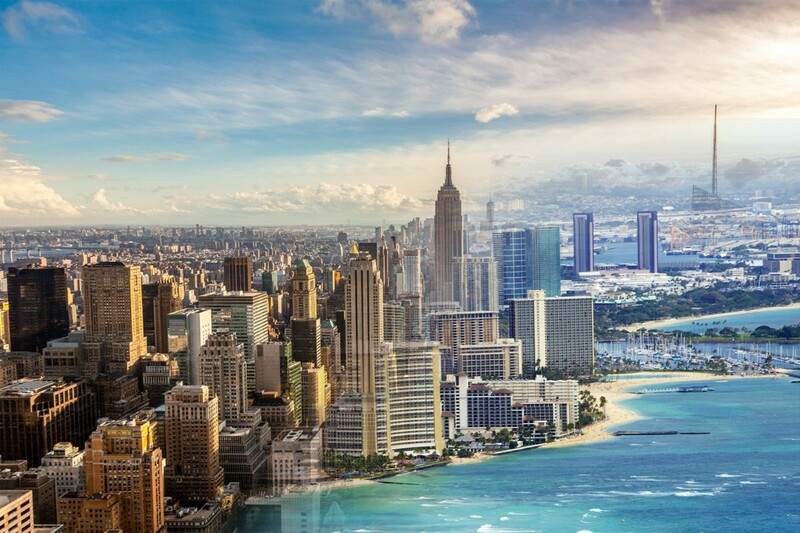 A recent report from the Chicago tribune suggests that living in Tokyo, a city of fast lane, is cheaper than a life in Chicago. Again the reason for that are sky high rents, condo, apartment and home prices. The cost of living is also quite high with the average three-person household spending $2,800 on goods apart from the utilities. San Francisco is an extremely expensive city and a study showed that it takes more than a $100,000 salary to live a debt free lifestyle in the city. Average home prices in the city are over $825,000. The good thing here though is that unemployment rate is considerably lower than the national average of 4.5%. The tax laws in the city also favor entrepreneurial ventures. Even though the real estate prices of the places surrounding the city are relatively cheaper and the unemployment rate is well below the national average, Honolulu is still very expensive. That is because it costs 55% more to get the same amount of goods in the city as the national average. The city of angels is home to the glamorous life of Hollywood so it is obvious that the city is going to be one of the most expensive. That is especially true for people living around Beverley Hills and Malibu as the list prices for real estate here are four times the national average. Only people living near the valley have somewhat affordable living costs. If you only take the cost of living in Manhattan into account, the city of New York would be as expensive as Singapore or Hong Kong. The real estate prices there average over $1 million per home. However, the boroughs of Queens and Brooklyn have more affordable rents and utilities. Even then New York city is easily the most expensive city to live in New York. Q : Which is the Most Expensive City to Live in United States of America? Ans : Manhattan, New York has become once again the most expensive city to live in U.S. In 2012, it has the cost of living index of 225.4 making it the most expensive us. City which is more than the double of national average. New York is not only the largest U.S city but it has remained the most expensive us city since 2007. Following is a table showing the different prices of different commodities in the markets of New York City.